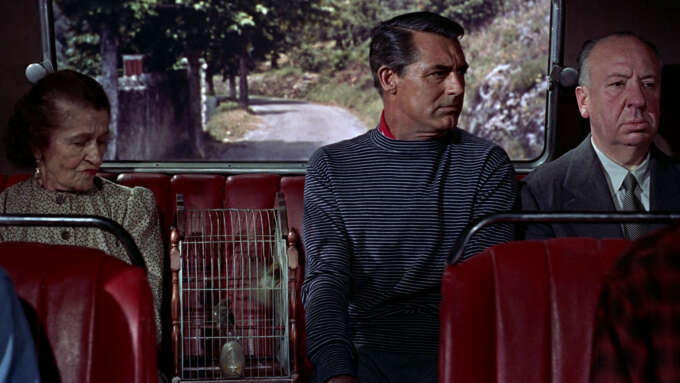 To Catch a Thief is a bit a of an odd flick. 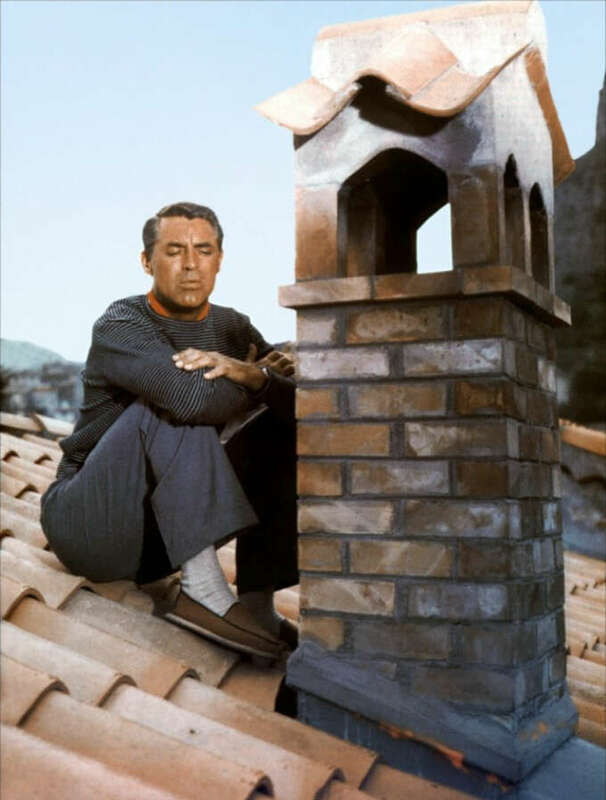 It boasts one of the great leading men of the golden age of hollywood—Cary Grant— working with one of the finest directors of all time—Alfred Hitchcock—yet it doesn’t quite coalesce into anything other than a standard caper pic. It’s redeeming quality for modern viewers is what makes it good for celluloid cloth—the fantastic clothing designed by the costumier Edith Head. 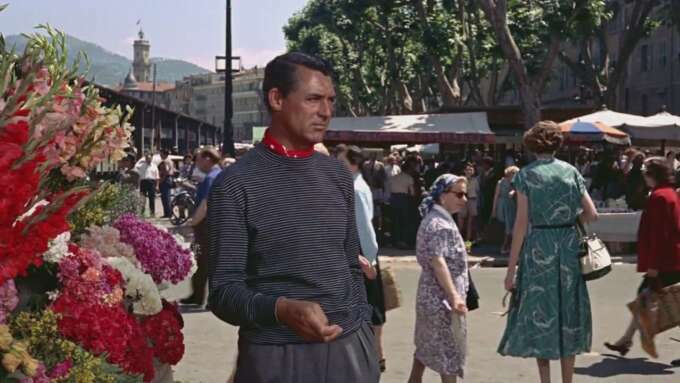 As a summary of the plot in brief, the film stars Cary Grant as a suave ex-cat burglar and French resistance hero, whose quiet retirement in the French Rivera is interrupted by a spate of robberies that seem to resemble his own. This sets in motion a fairly straight forward wronged-man-forced-to-prove-his-innocence narrative that was a constant of Hitchcock’s work. 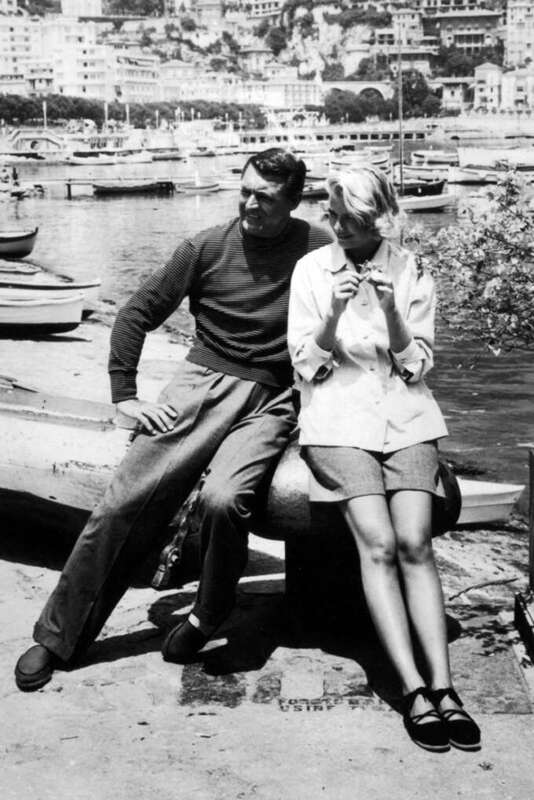 What is interesting from the menswear perspective is seeing Cary Grant and Head’s take on casual summer clothing. 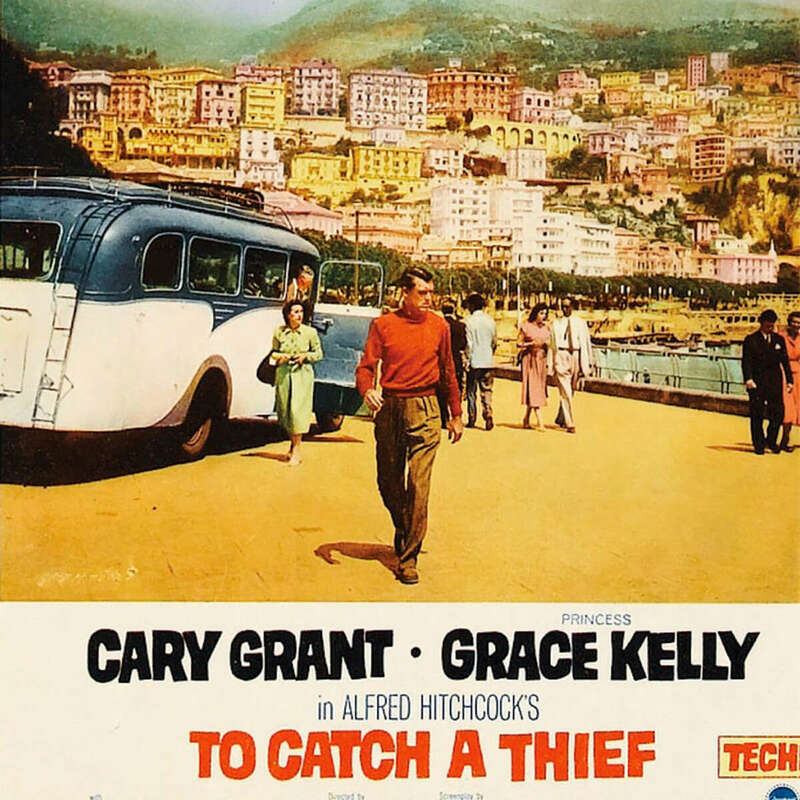 Grant’s thief is shown at the beginning of the film in chicly relaxed Rivera garb: a striped funnel neck jersey sweater, some light flannel trousers with pleats and most strikingly a bandana tied securely around his neck and tucked into the collar of his jumper. The shoes look like a cross between espadrilles and loafers, worn sockless for extra élan. It’s an upscale take on what bohemians would have been wearing around the same time. Seeing it in these stills you might think that the look is a bit costume and period, but its a style reference that I’ve seen adapted by the likes of Jason Jules (Model, PR and designer for the accessories brand Garmsville) and used extensively in recent Margaret Howell runway looks. 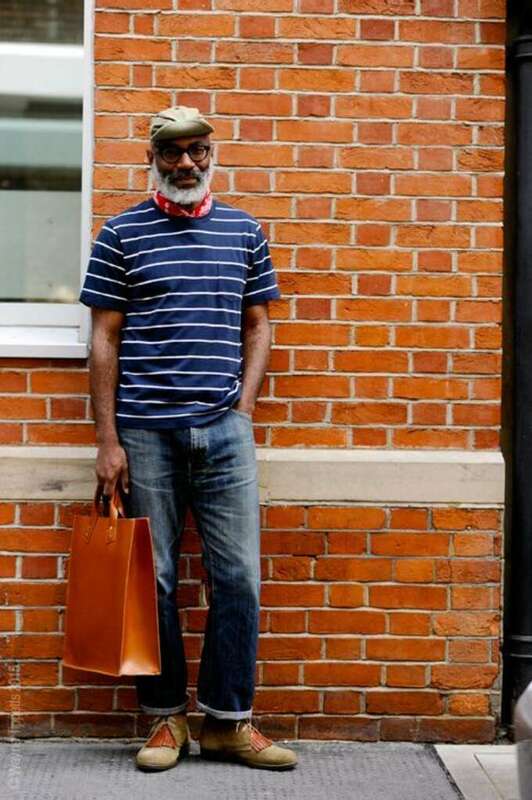 The key seems to be the use of a casual handkerchief instead of a scarf which risks looking a bit “lord of the manor”, and it can even make a smart accessory to dress up a tee shirt. 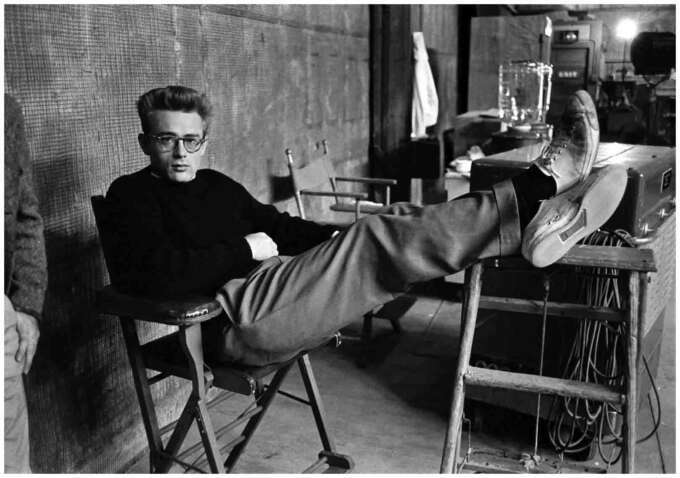 As for the trousers, we’ve mentioned it before but designers from Officine Generale to Billy Reid have been bringing a wider trouser style forward and paired with a jersey it has a certain James Dean flavour which is welcome. If you’re wondering what happened to the rest of the outfits in the film, I simply didn't think they had much contemporary resonance being more tied to the period and it's sense of formality than this one. 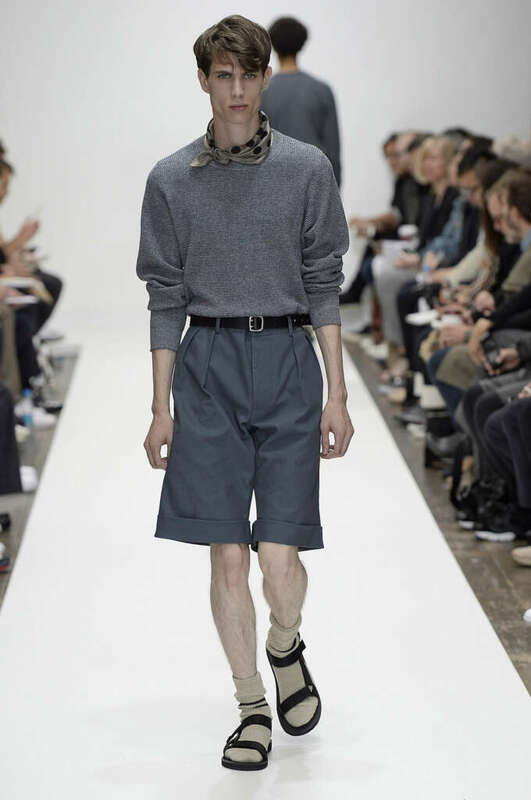 The look is pretty easy to achieve this season, and its interesting to see something so monochrome in a season and climate associated with bright colours but it probably helped that Grant had a nutty brown tan to offset the charcoal greys. Officine Générale have some lovely fresco wool pleated trousers this season—I picked up the khaki versions a few weaks back myself. Bellerose have a jumper which is near enough to being exactly the same as Grant's in the film, which in fact prompted me to focus on it. It has a nice small funnel neck and boxy short shape that will flatter the pleated trousers. 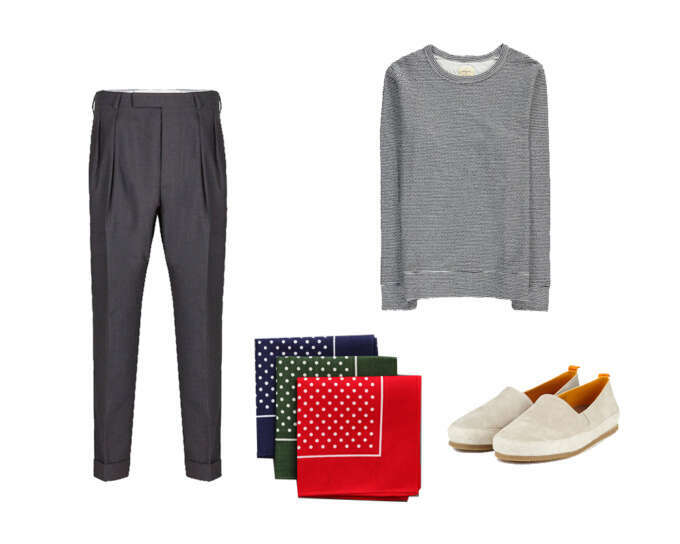 The look is finished off with these espadrille sneaker hybrids from Portuguese brand Mulo in Trunk's summer sale and some very affordable handkerchiefs from English traditionalists Labour & Wait.